Despite the fact that the state fields only one Class I company (CSX Transportation) and is one of the smallest in terms of size, there are actually quite a few Connecticut railroad jobs to choose from due to the fact that it is served by two Class II, regionals, and a handful of Class III, short lines (interestingly, these smaller railroads make up more of the state's total rail mileage than does CSX). 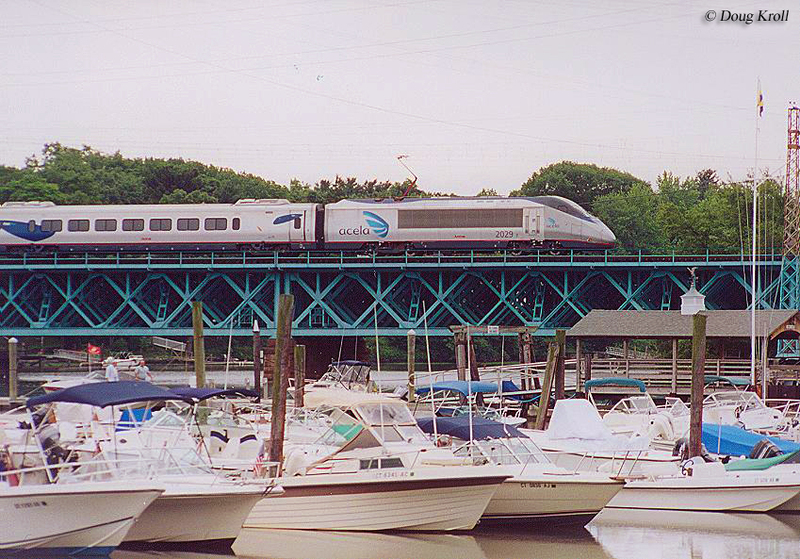 Also, Amtrak's Northeast Corridor (NEC) to Boston skirts the coast through New Haven on its way to New York City. Please note that if you hold a serious interest in working in the railroad industry but do not know a lot about it is not exactly a career which is for everyone, particularly if you hire on with a giant Class I company in the fields of either transportation or maintenance. The time on duty can be extremely long (12 hours) and require one to be away from home for quite some time. Also, of note, is that Class Is will base you wherever there is a need. For instance, while CSX operates through Connecticut because it serves virtually every state east of the Mississippi you could be placed anywhere. As such, if you are lucky enough to be offered a position with a short line or regional, which offer somewhat more predictable hours don't pass it up! And, on this note, I often receive e-mails concerning employment opportunities or where they may be found. This is why I have set up these pages to assist in helping answer those questions for you as there is not a lot I can do, directly, to help. You will need to contact the individual railroad to see about job openings (large short line companies such as Genesee & Wyoming, Watco, and Patriot Rail requests that all potential job seekers visit the employment page at their respective websites). Branford Steam Railroad: This independent, industrial road has been in service since 1903 and currently serves a stone quarry at North Branford, Connecticut, operating just over 6 miles and interchanging with the Providence & Worcester. The company is currently a division of Tilcon Connecticut. Please visit their website for employment opportunities. Central New England Railroad: This small short line has been in service since 1995 operating over 8.5 miles of the old Central New England Railway between Hartford and Bloomfield (acquired in 1999) as well as utilizing ex-New Haven trackage from East Windsor Hill to State Line (13.5 miles). The road interchanges with the Connecticut Southern. For contact information please click here. 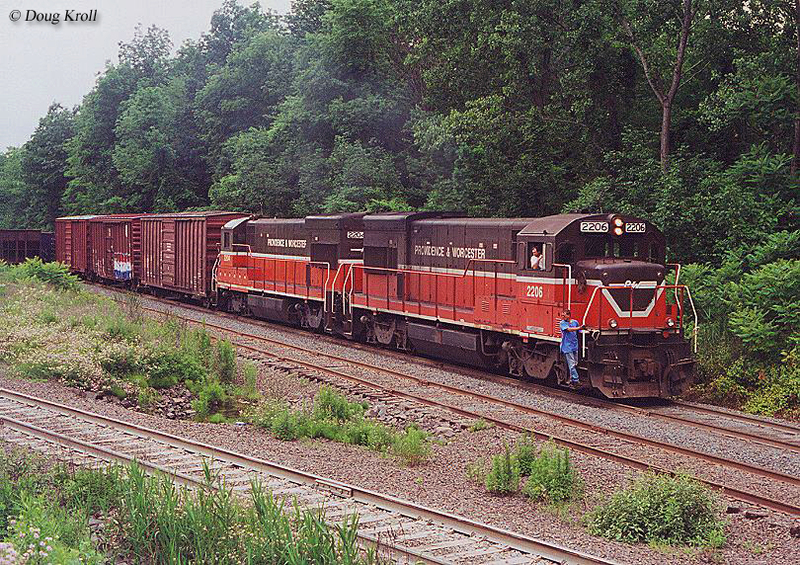 Connecticut Southern Railroad: This short line traces its history back to 1996 when it acquired former New Haven trackage from Conrail that year. In 2000 it was purchased by RailAmerica whose assets were taken over by the Genesee & Wyoming in 2012. Today, the road operates about 42 miles of track. Housatonic Railroad: The historic Housatonic Railroad has been around since its chartering in 1840. It eventually grew into a rather substantial system serving western Connecticut, and southwestern Massachusetts. Today, the short line operates much of the original route between New Haven and Pittsfield with a western extension to Newburgh, New York. It remains independently owned moving a wide variety of freight. Please visit their website regarding employment opportunities. New England Central Railroad: The New England Central has been in service since 1995 when it acquired the assets of the historic Central Vermont Railway, sold by Canadian National that year to RailTex Corporation which subsequently renamed the property. This company was acquired by RailAmerica in 2000 which was purchased by Genesee & Wyoming in 2012. Today, the Class II, regional operates 394 miles and handles nearly 40,000 carloads annually. Its freight is highly diversified. Pan Am Railways: The Pan Am is the renamed Guilford Transportation system. 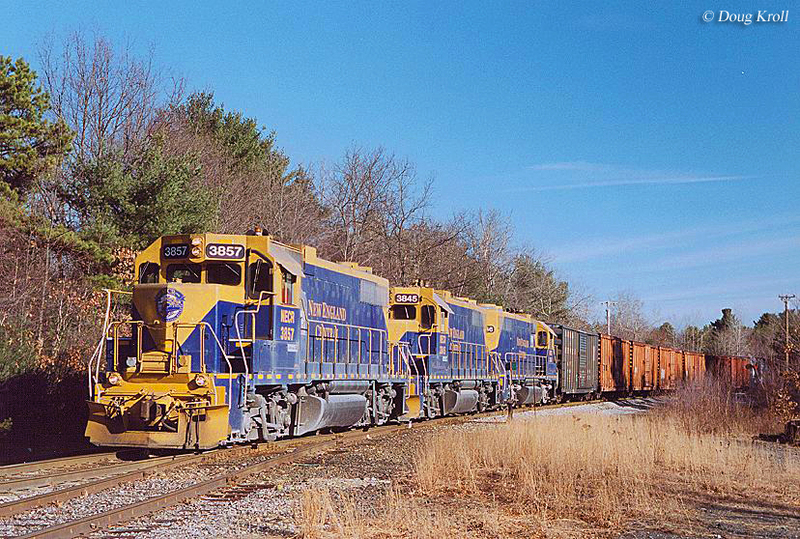 These large regional has served much of New England since 1981 when it began acquiring such classic system as Maine Central, Boston & Maine, Portland Terminal, and Springfield Terminal. In 2006 it changed its name to Pan Am Railways. Today, it operates roughly 1,700 miles and its traffic is widely diversified. This privately-owned system hosts its own website and features a career page regarding jobs and employment opportunities. Providence & Worcester Railroad: The P&W is another historic system spun-off following the Penn Central collapse. It began in 1847, opening its original line between Worcester and Millville, Massachusetts in September that year; a month later it was completed to Providence on October 20th. After a long stint as a subsidiary of other carriers it became independent in 1973. Today, it serves more than 140 customers and moves thousands of carloads annually. Please visit their website regarding employment information.